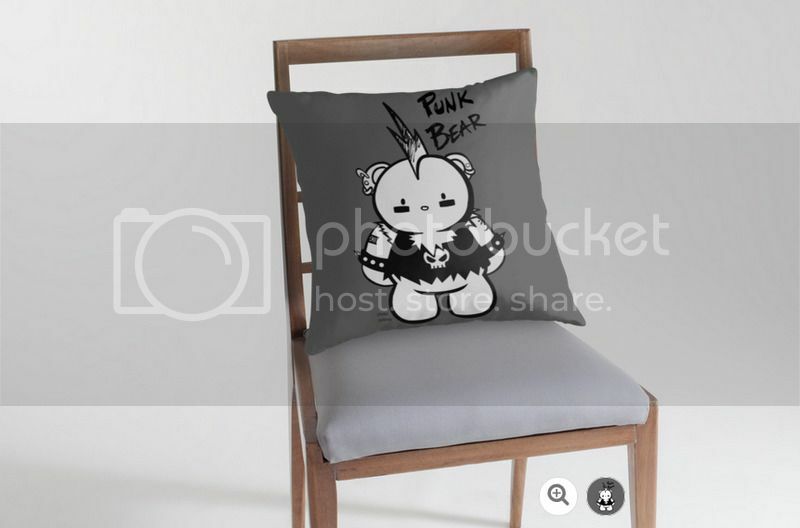 Buy some warm comfy duvet covers and throw pillows at REDBUBBLE. They will look stylish and cute. and check out these lovely people too! SAMURAI AND DINOSAURS ON INDIEGOGOGO FUND IT NOW!!!!!! What I mean is SAMURAI AND DINOSAURS MUST MEET IT'S GOAL AND THEN SOME!!! Any help is appreciated, back it or spread the word! START 2019 OFF RIGHT AND SHOW YOUR SUPPORT FOR SAMURAI AND DINOSAURS ON IDIEGOGO! "Hello, potential backers- I'm Mike Murphy, one-half of the creative team behind Samurai And Dinosaurs. Written by myself and drawn by powerhouse European cartoonist and comic artist, Sergio Calvet, this tale was an early collaboration of ours dating back to 2010. First of all, thank you for even taking the time to read this. My wife and I take pride in being self-reliant. For more than a decade, we've worked as freelance comic writers and illustrators for anyone that would have us. Together, we've built a modest living for ourselves. I say this to provide context when I say that asking for charity is extremely difficult for both of us. My Instagram, featuring current Inktober work. Two years ago, my wife developed prolactinoma- a brain tumor that affects fertility. Thankfully, it was benign, but the fact still remained she could have ended up barren and possibly losing her eyesight. I’m thankful to be a part of “TALES FROM LA VIDA A LATINX COMICS ANTHOLOGY. Just got my copy in the mail and I couldn’t put it down. Lots of talented artists and writers are featured within. Thank you so much to Frederick Luis Aldama and Latinographix. My compliments to Jason Gonzalez for the incredible cover. SEND MORE TRAIL MIXIt's been three weeks since bringing a little life into this world. Oh boy, do I have stories to tell but till then I wanted to say THANK YOU to everyone who has been there for us before, during and after the delivery. You mean the world to us and we appreciate you! Enjoy the recent post and stay tuned, there is a lot more on the way! SHOW SOME LOVE DAMN YOOOOOOU!!!!!!!!!!!!!!!!!!! MAY 5TH IS FREE COMIC BOOK DAYMy compliments to the artist of these cute#Snapchat #MarvelComics characters. MAY 5th is FREE COMIC BOOK DAY and I want to see you all there! Bring your friends and family, go in cosplay, I just want to see you there and have a great time. CHIBIPANELSWe've been a part of Tapastic/Tapas and it's been a great platform to post up or CHIBIPANELS comics and art. If you haven't checked it out yet, WHAT ARE YOU WAITING FOR? Click here! This comic brought to you by my lovely PATREON supporters! Patrick * Shad * Chris B.
Tom B. * Rick * Mike H.
I'm listening to the Soundtrack from LEGEND OF ZELDA: A LINK TO THE PAST one of my all-time favorite video games and series. It's putting me in a creative zone and positive mood. I'm feeling good.